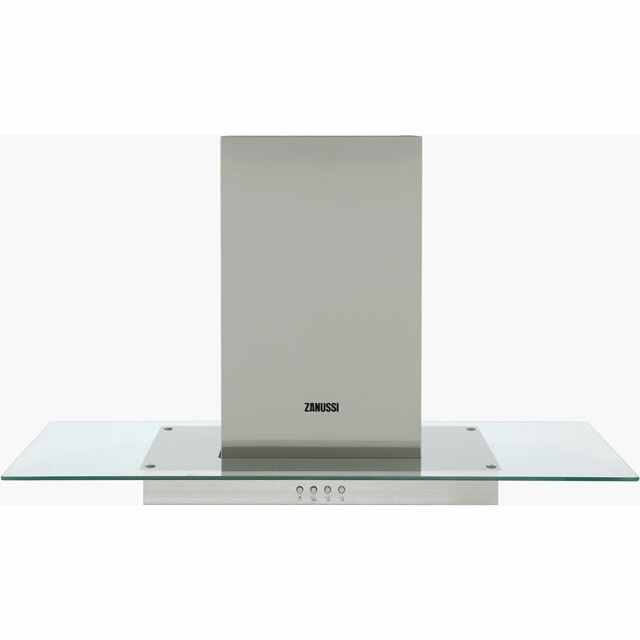 For a sleek look to your kitchen, look no further than this island cooker hood from Zanussi. As it has a maximum extraction rate of 600 cubic metres of air per hour, it’s a brilliant choice for medium-sized households. With a width of 90cm, it’s the perfect size to sit above a large hob or range cooker. The handy LED lights are great for keeping an eye on your dishes, as they illuminate your cooking area. It even has easy-to-use push button controls, which make it effortless to adjust the extraction settings for when you’re preparing aromatic curries.